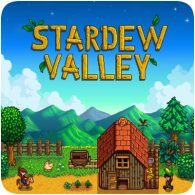 If you’re not familiar with the game, Stardew Valley is essentially a farming simulation role-playing game. You take the role of a character who takes over their grandfather’s farm, and have to manage your time, energy levels and money. Activities include clearing land, planting and tending to crops, raising livestock, crafting goods, mining, engaging in social activities (including romances leading towards marriage). You can earn in-game money which can then be used to expand your farm. The game is open-ended, so you can essentially continue to play forever. A 4-player co-operative mode is currently being tested on the PC, and will eventually make it’s way to consoles. However, the PS Vita version of the game won’t be getting multiplayer mode.